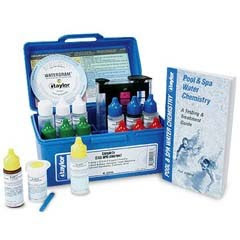 Swim Clear Pool Supply is now offering more swimming pool support by adding water test kits and supplies. From the accurate AquaChek digital tester and easy to use test strips to the Taylor Brand test kits and Taylor solution refills, Swim Clear has what you need for your swimming pool water testing. Swimming pool water testing recommendations still to come in a later swimming pool help blog.